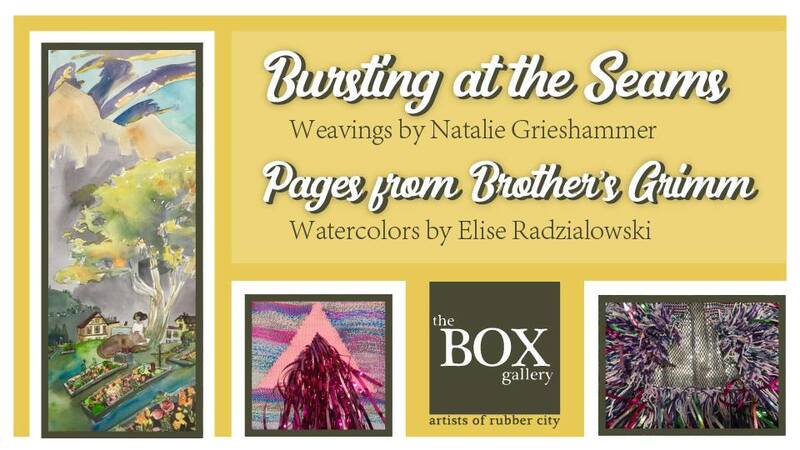 The BOX Gallery is located on the third floor of Summit Artspace on East Market, 140 E. Market St., Akron. Shows are FREE and open to the public during exhibitions on Fridays and Saturdays from 12-5 PM, 3rd Thursdays (Thursday, April 18 & May 16, 4-7PM), and the Akron Artwalk on (Saturday, May 4, 5-9PM). In 2009 AoRC opened its current gallery space, the BOX, on the third floor of Summit Artspace near the Akron Art Museum in downtown Akron.